Just like the tenderness of these people, cacao is one of these islands’ visiting cards. Just like the sweetness of these people, the cacao is good, it tastes good and at some difficult moments in our lives it has accompanied us, soothed us, given us support, it was there… in a chocolate bar. It is lovely to be delighted with the intensity of the changing colours of blue sea blends into a swirl of different shades like a maritime rainbow that surrounds the two green islands. It is easy to make friends on these islands. It is easy and it is good. For the candour and the humility. And we go with them fishing or looking for the many different fruits that exist in the dense jungle of these islands. The country is wilder than Cape Verde, but it is closer for Europeans than the Caribbean, it is more developed than many African nations and has a close relationship with the Portuguese, this is a country just waiting to be discovered. Many people consider it to be the gateway… to paradise. The PESTANA SAO TOME is the first and only five-star hotel in Sao Tome and Principe. It offers panoramic views of the sea and you get all the comfort and sophistication you look for in a hotel. Ample spaces, conference rooms and a varied range of leisure activities under the internationally recognised Pestana Hotels & Resorts brand. The beauty of this luxurious hotel is complemented by the Pestana Vila Maria Luxury Condominium, just a few metres from the hotel, and there is also a casino, a disco, outdoor swimming pool, Health Club/Spa and many other services for anyone who is looking for the ideal spot for relaxing holidays or business in an elegant, modern hotel. The ochre tones of the building take us back to a capital that has been left sleeping since the past, but in reality, it completely meets all the comfort levels that we demand. It is like being at home in paradise. Everything is familiar. We can recognise everything. Everything makes sense: the people, the cities, the colours, the smells, the countryside, the impossible blue of the sea… everything. It is a fascinating experience, almost like a flashback. It is like deja-vu, where the houses, the buildings, and the streets bring back rich, old memories of the times when cities were alive in times gone by. The luxury of the colours, the large spaces where the green explodes along with all the other primary tones in a palette of countless colours, where the intensity of the transitions of the blue sea blends into a swirl of different shades like a maritime rainbow that surrounds the two green islands that explicitly plays with all our emotions – even those we didn’t know we had. It is the discovery of nature that is connected with the return to the roots that touches everyone. 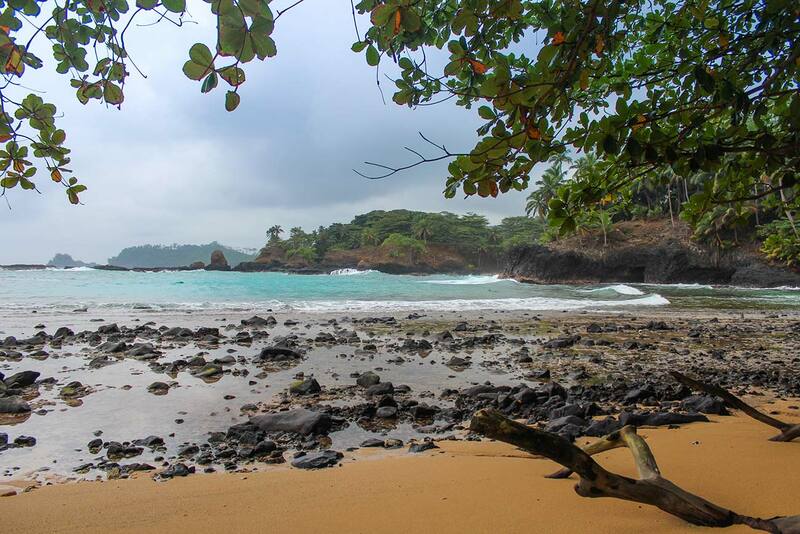 It is the feeling of deserted beaches, the magic of the forests, the sweetness of the people and of all the old memories of the small cacao and coffee farms. Landing on this island is like reaching the paradise we have heard about since we were young and we always wondered what it would be like. We feel good and, just like the Portuguese discoverers João de Santarém and Pedro Escobar arrived here for the first time, we are swamped by a wave of joy and happiness along with anxiety and the desire to discover, where we feel like the leading actors in a neo-realist film. The secret of this island is to enter slowly, gently-gently, so typical of these people and how they define themselves. It is discovering the disarming and disconcerting candour, it is a way of being calm, tranquil that brings a sense of peace and that completely seduces us. 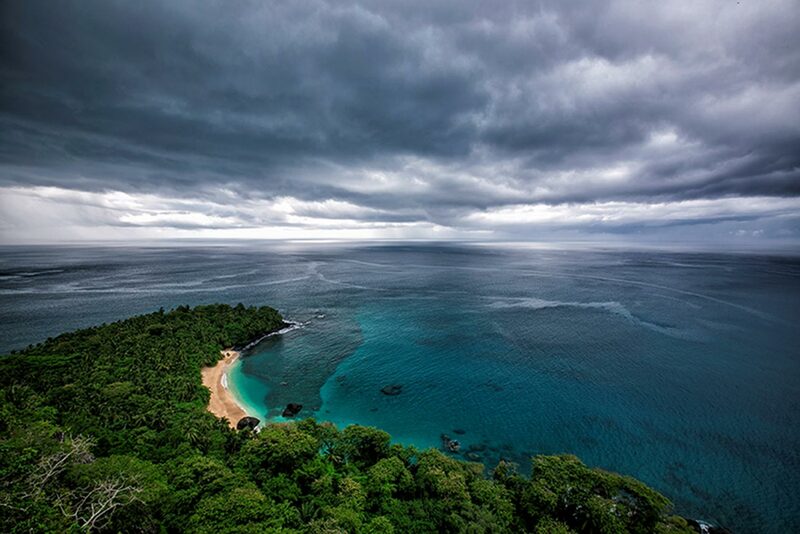 It is just that force we call mother nature that takes us to those heavenly tropical landscapes that anaesthetise us and make us breathe differently with more pleasure. It feels good to live one day at a time, not to be in any hurry, to live everything with time and let time slip past. Especially because this time is going to come without ever reaching the end, in these moments where perfection crosses reality and we are carried to a world that is just for us. 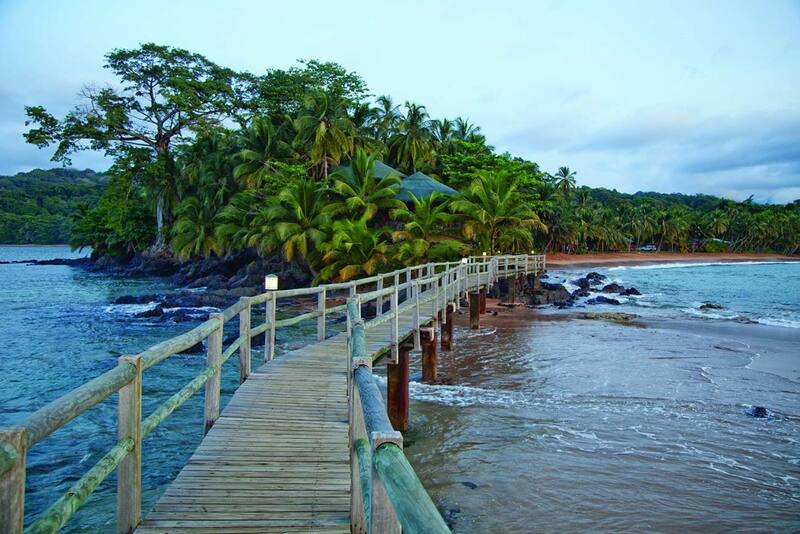 It is good to live Sao Tome and Principe. It is good because it makes sense. It’s like arriving in paradise. Better than feeling at home, is feeling that you are in your own home. Along with a colour that invites us to dive in, all the rest is also divine. They release the purest they have in themselves, let the old spirits take over their movements, their steps and hand in hand with a sweet ingenuity that is so characteristic of their tender ages, they dance to spread energy and praise their ancestors. Is there anything sweeter and truer than a child’s smile? Para além do que há. Rays of a thousand colours that can be seen in all the points of the universe, where everything begins here, from life to death, from pure happiness to the tears of loss… everything makes sense. It is like being in paradise with the sea at your feet. We are taken to enjoy the sensations of the beat where you want to discover something more like the exuberant vegetation crisscrossed by countless streams and rivers and the uneven terrain of the different altitudes that are examples of the magic that reigns here. The magic that we can feel so intensely on the land and on the sea that ironically enslaves us to the island. Architecturally, the fort of Sao Sebastiao, the cathedral of the Holy See, which sits beside the Presidential Palace, the Historical Archive, and many other Baroque inspired buildings, are all well worth a visit. There is more, so much more for us to discover… after all, it is considered to be the gateway to paradise.